Swatch and Review: Sinful Colors Class Act Demi Mattes – now in Canada! Hey guys! Today I have a very exciting post for you. Sinful Colors has released a new collection of demi mattes (which means literally half-matte) and I have 6 of them for you today! And the most exciting part – they are available in Canada! The demi mattes are part of the Class Act: Chalkboard Diaries, available at select retailers (more on that later) through until September. They have a beautiful creamy finish that is not quite matte. In fact I’d say it almost has a creamy-waxy finish to it. My display also had Black on Black (black cream) and Snow me White (white cream) but these are also part of the core collection and since I own these, plus back-ups, (and back-ups of my back-ups), I didn’t pick them up. For my pictures I used 3 coats no top coat. Next up is Chalk It Up. I would say this is somewhere in-between a sage and a lime green. A bright sage green perhaps? I’ve seen it described as pistachio and it does remind me of that green pudding I used to eat as a child. 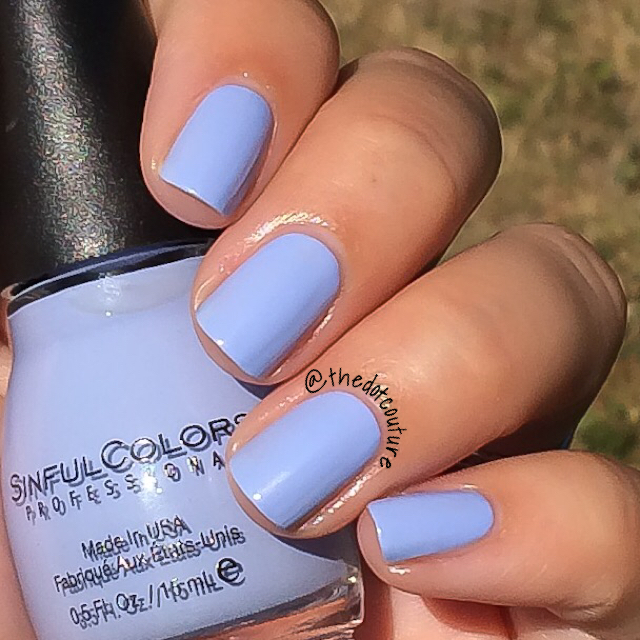 Truth or Lavendare is a nice pastel purple. It was the easiest to get opaque for me. 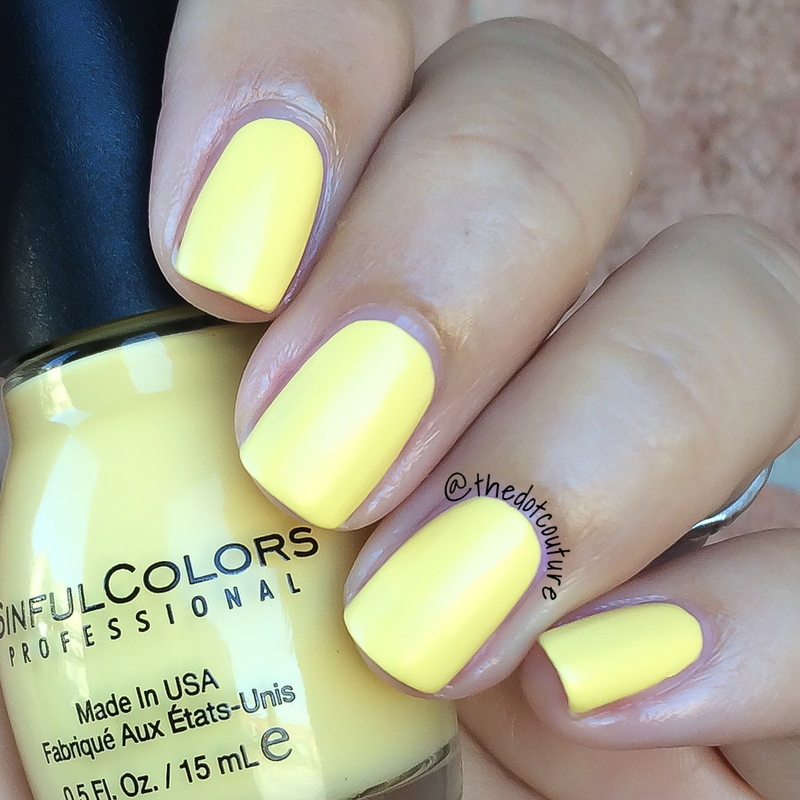 This is a perfect spring through fall shade! The next two polishes in this collection are actually jellies. Jelly demi mattes!!!! And they are fantastic! First up is RADiant. This is a beautiful bright fuchsia. The formula was a dream on this and it dried to a flawless demi matte finish. My only complaint is that after 3 coats I can still see my nail line (strictly personal preference but it’s something I try to avoid). Otherwise it’s such a beautiful colour!!! And I saved the best for last. Hazed is probably going into one of my top-ten polishes of all time. And that says a lot coming from someone who isn’t really drawn to the jewel-toned purples. 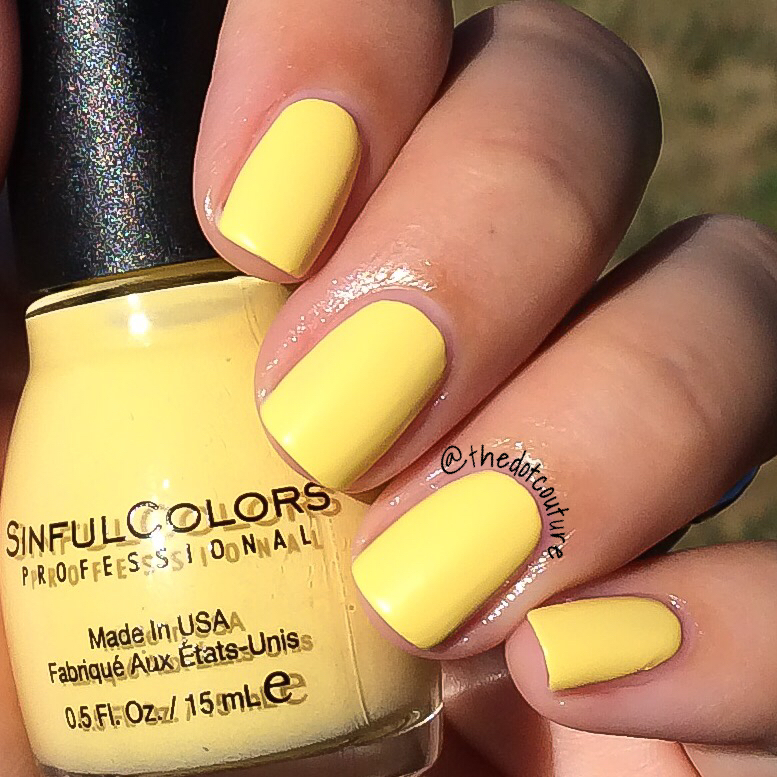 The formula on this was so amazing I think I could have painted my nails with my eyes closed. Sheer perfection. I purchased these at Rexall, a Canadian pharmacy. They retail for $2.99 CAD but they were on sale 2 for $5.00. We haven’t seen anything outside of the core line (and not even the complete core line) for several years, so I’m hoping that we will at least start to see some of the bigger collections (we are coming into the fall/holiday season, and in my opinion, Sinful Colors puts out THE best Halloween and Christmas collections). If you don’t have a Rexall in your neck of the woods, you can check out the Where to Buy page on their Official Site. Also keep an eye on their social media for info on new collections (Instagram/Twitter/Facebook). And I will be stalking all of the Rexall/Jean Coutou within a 50 km radius (I even cross provincial lines I’m so determined!) 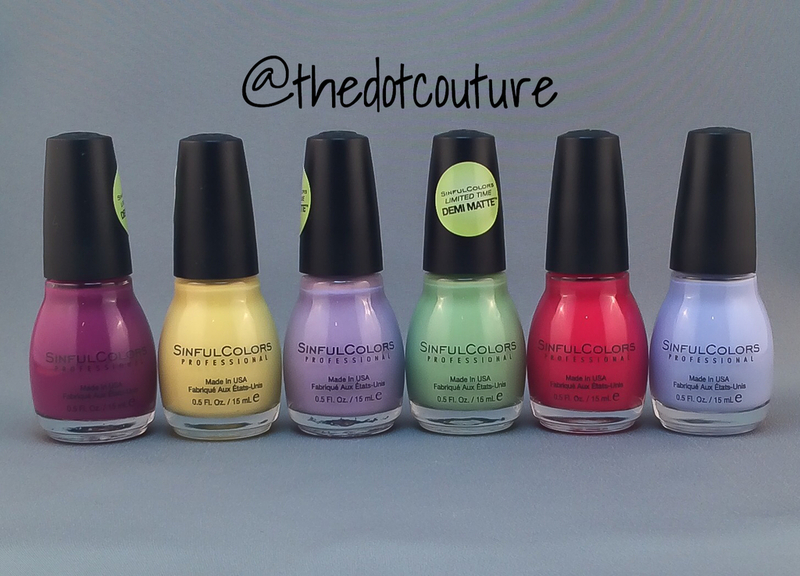 and I will let you know if I’m lucky enough to come across any new LE Sinful Colors collections!! Don’t forget you can follow me on Twitter: @thedotcouture Instagram: @thedotcouture and now on Bloglovin’ as well!!! Gorgeous pictures and a lovely review! So happy to know you will also be stalking Rexalls, hopefully between the 2 of us we won’t miss out on anything! Oh I’ve been stalking then for about 3 years now, I just stopped when Target came here and I think our Rexall’s had just given up on stocking the LE’s! I’m so happy to see them and thank you again for the head’s up!!!! Yes I loved Hazed too!! I think it’s my favorite of the bunch that I’ve tried so far! Keep an eye out, there’s a matte black, white and pink in a sub collection! It’s such a lovely shade and the finish really sets it apart!!!! I’ve seen swatches of the other three – Sinful says they are Walgreens exclusives on their site but I’ve heard of people finding them at Target and Rite Aid!!! Gorgeous swatches! 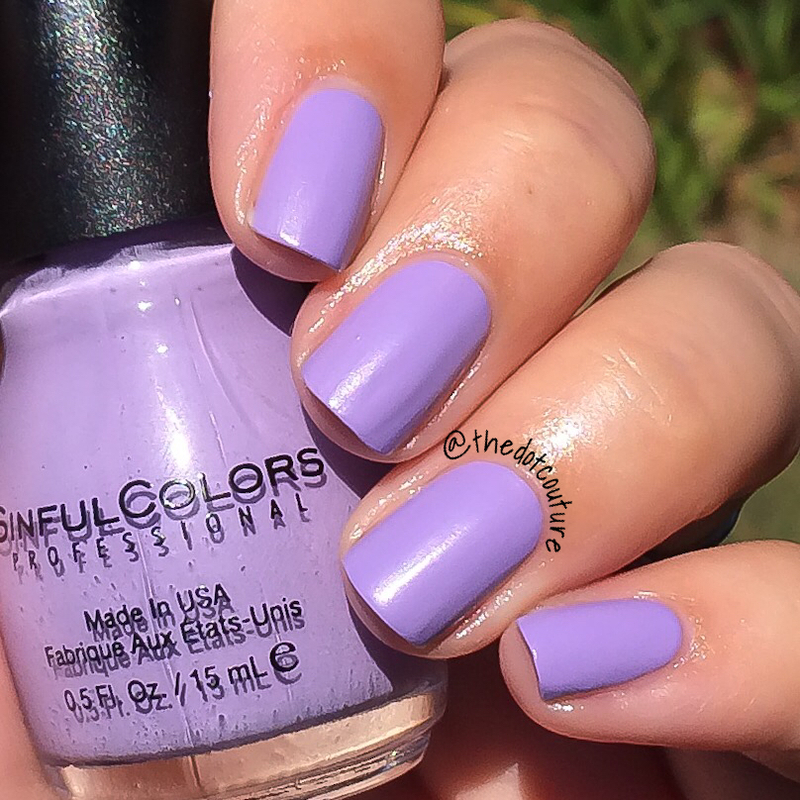 I own so many SinfulColors already but I think I need these! I love the Demi matte finish on these! Beautiful swatches, I have my fingers crossed that ththe do a fall line like this too! Oooh that would be amazing!!!! Keep Calm and Eat Waffles! I love these swatches…I recently got a couple of sinful colors polishes but haven’t yet tried out the demi matte ones..this makes my decision making much simpler 🙂 ‘Hazed’ is perfect!